Aqua Mix Low VOC (Volatile Organic Compound) formulas help provide better indoor and outdoor air quality compared to similar traditional products. 47 grams of VOC's per liter of material. All natural stone (such as marble, granite, slate, travertine, and limestone), porcelain, quarry, Saltillo, terra cotta, cement pavers, masonry surfaces, and other porous tile and grout where a natural look is desired. Will vary depending on hardness and texture of surface, type of area, surface wear, frequency, and type of maintenance products used. Weather conditions, harsh cleaning methods, and high-alkaline, acidic, or solvent-based cleaners will affect wear. 1) Read entire label before using. 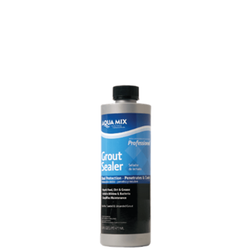 2) For new installations, sealer can be applied as soon as 48 hours after grouting. 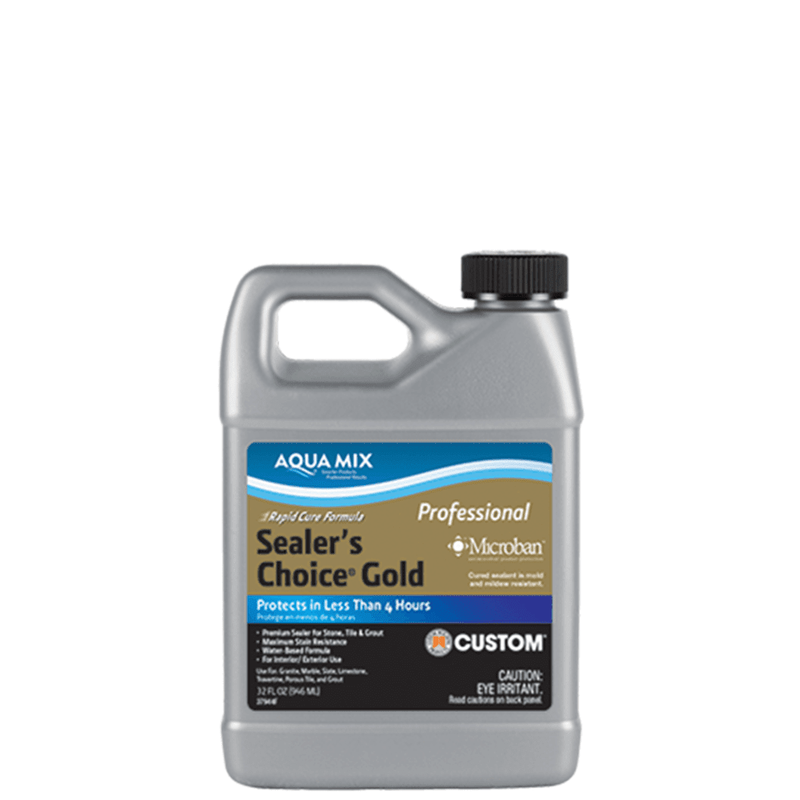 3) Surface must be clean, dry, and free of existing sealers or coatings. 4) Apply using a sponge, brush, paint pad, cotton towel, or sprayer. 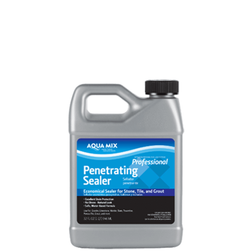 NOTE: Be sure any sealer that does not penetrate surface is removed from surface within 5 minutes of each application using absorbent paper or cotton towels. 5) If 2 or more coats are applied, allow a minimum of 30 minutes drying time between coats. 6) 2 hours after final coat conduct a test to determine if surface is completely sealed by applying water droplets to the surface. If water is absorbed, apply an additional coat. Wait 2 hours and repeat the test. 7) Ready for surface traffic in 2 hours after final coat. Keep area dry for 12 hours. Achieves a full cure in 24 hours. 8) Clean applicator tools with water after each use. 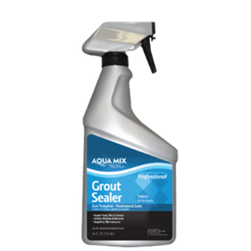 PRE-GROUTING APPLICATION: Apply over clean stone or tile a minimum of 2 hours prior to grouting - follow application procedures above. 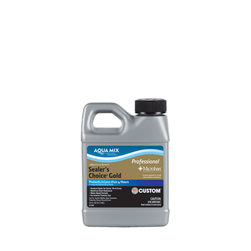 AquaKleenis recommended for routine spray and wipe cleaning. May slightly lighten or darken some surfaces. COVERAGE: Approximately 300 - 1,500 sq. ft. (30 m2 - 139 m2) per coat per gallon (3.8 L), depending on type of stone, tile, porosity and texture of surface, temperature, humidity, and method of application.